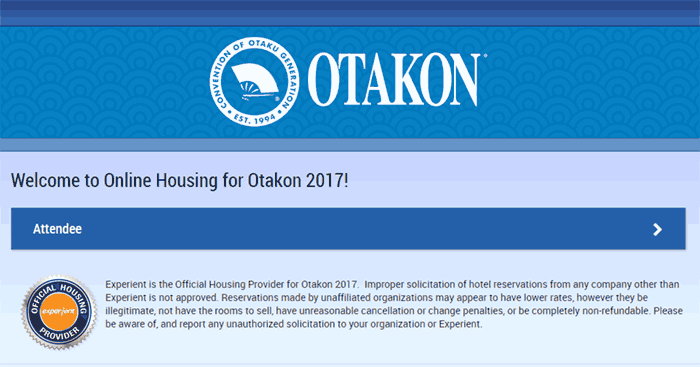 Otakorp, the organization behind Otakon, has issued a warning about a "pirate housing website" that was created to trick people into signing up for invalid hotel reservations. 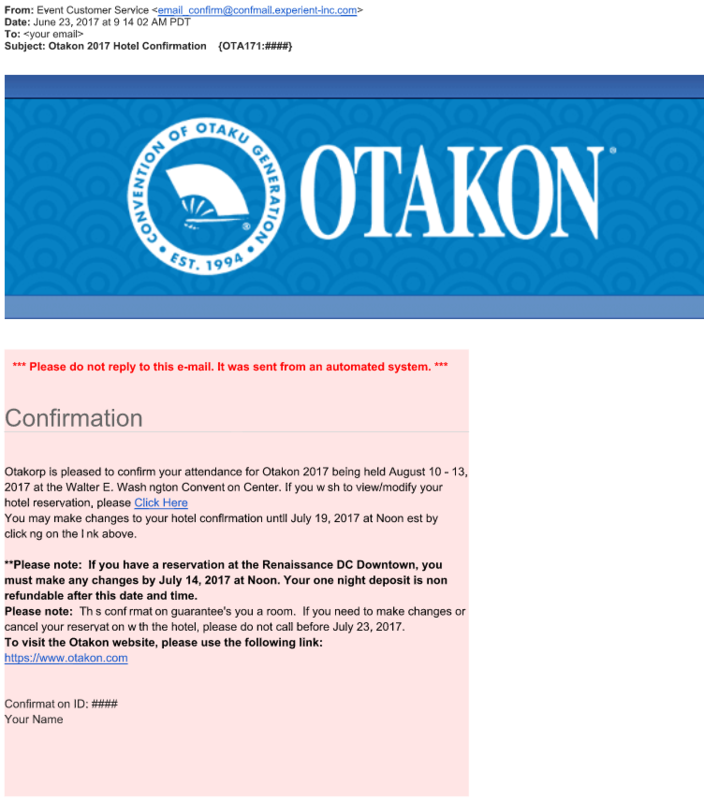 The "otakon2017.org" web site, which has since been shut down, was not associated with Otakon, Otakorp Inc, or Otakon's exclusive hotel provider, Experient. Otakorp is unable to determine if any reservations were taken through this site, if those reservations will be honored, or any information that may have been collected by the site. 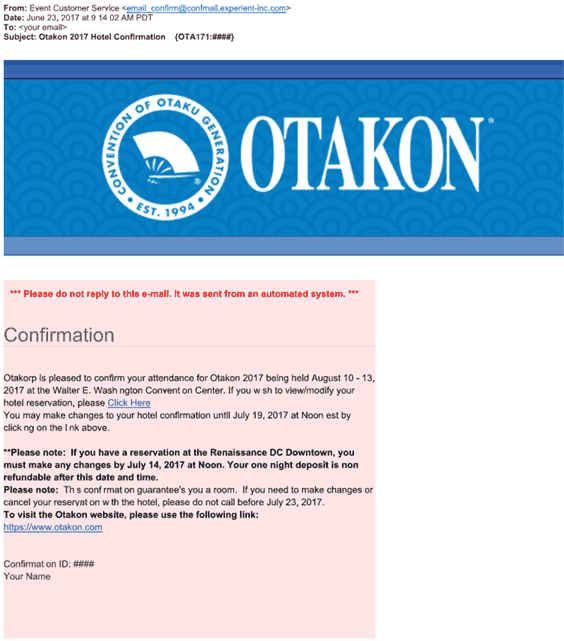 If you have not received a reservation confirmation e-mail which looks like the official confirmation pictured below, Otakon urges you to contact Experient immediately at (800) 967-8852 or [email protected] International residents may call +1-847-996-5832. John Nadzam, Hotel and Venue Manager for Otakorp, said in a written statement, "We are very sorry this has happened, but we are glad we caught it. Our members are important to us, because we are also fans, cosplayers, artists and dreamers. Our mantra from day one has been 'by fans for fans' and we mean it. I know, I was there, and we could have never got here any other way."